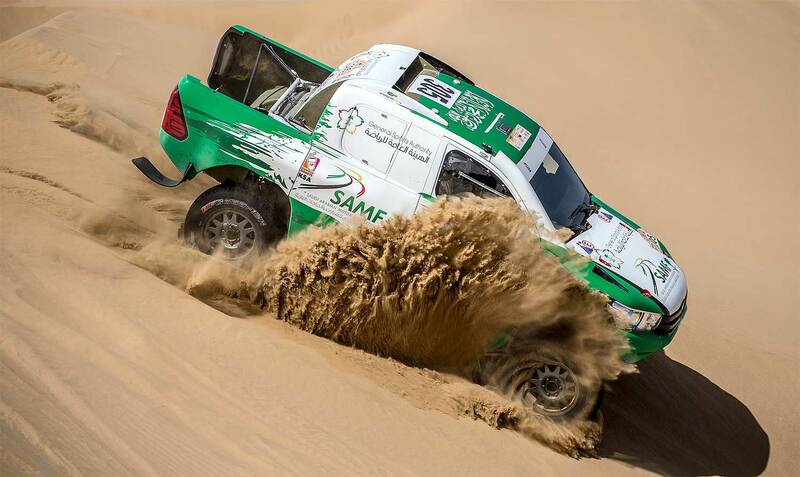 Saudi Arabian driver Yasir Saeidan finished in a stunning podium position and third overall in the Dubai International Baja, round two of the 2018 FIA World Cup for Cross-Country Rallies. Tackling his second event with the Overdrive Racing team at the wheel of their powerful V8-engined Toyota Hilux, Saiedan and Russian navigator Alexei Kuzmich soon got to grips with the car over two selective sections of 173.69km apiece through the Al-Qudra Desert in the United Arab Emirates. The Saudi finished a mere 5:40 minutes behind eventual winner and new series leader Jakub Przygonski on only his second event with the team. The Saudi coped well with the heat and rigours of the opening special and was particularly impressive through the tricky sand dunes that caught out several of his rivals. He clocked the third fastest time of 02:12:34 in SS1 behind the Polish driver Przygonski and Russia’s Vladimir Vasilyev. He may well have taken the stage win had it not been for one costly delay in the sand. Saiedan began the second special, which featured a wide variety of sand dunes, fast sandy tracks and soft areas, behind his two rivals and reached the flying finish in a time of 02:03:33. 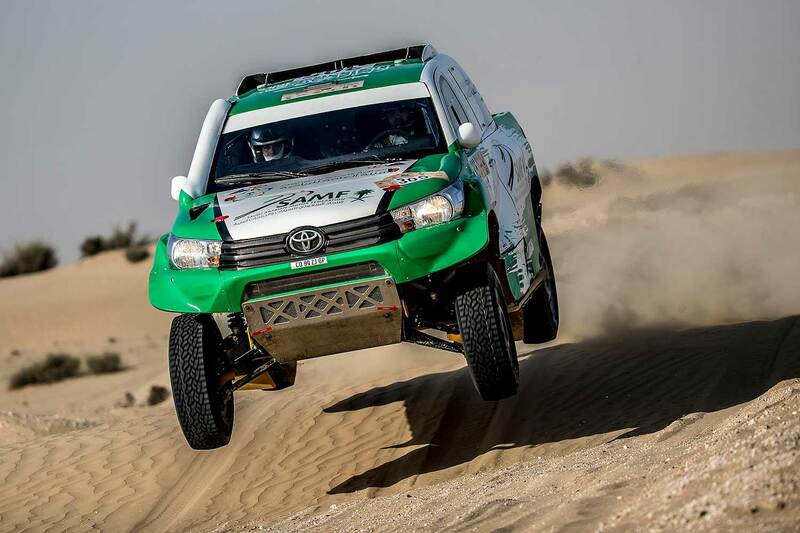 That was a mere 1:46 minutes behind Khalid Al-Qassimi, the local favourite and winner of last year’s Abu Dhabi Desert Challenge, and meant that he beat all his contenders for the Dubai Baja win. Overdrive Racing’s CEO Jean-Marc Fortin said: "This is a fantastic first podium for Yasir. With the stage time that he showed today, it is really amazing how he has driven in the dunes. This is only the second time that he has been racing in T1 with this car. Making his first podium on only his second race is a very impressive achievement. It’s just a shame that he got stuck for more than four and a half minutes yesterday, when we looked at the data, otherwise he would have been challenging for the lead."